WHISPERING, WHISPERING HOPE. O HOW WELCOME YOUR VOICE. In this world of ‘screwed up values and standards’ one certainty I do KNOW is that the unseen world of the Spirit (ie realm of the Divine…God) is REAL. I have seen angels. As a child at a funeral I saw in wide-eyed wonder a group, crammed in a corner (can’t explain they appeared to be compacted but shone with brilliance in a dark corner). I told the adults what I had ‘seen’. They were kind, but dismissive ‘What a dear, little girl!’. I kept these things deep in my heart, and never shared my heart truth again….…… but, I did see angels. I KNOW the unseen world is real. 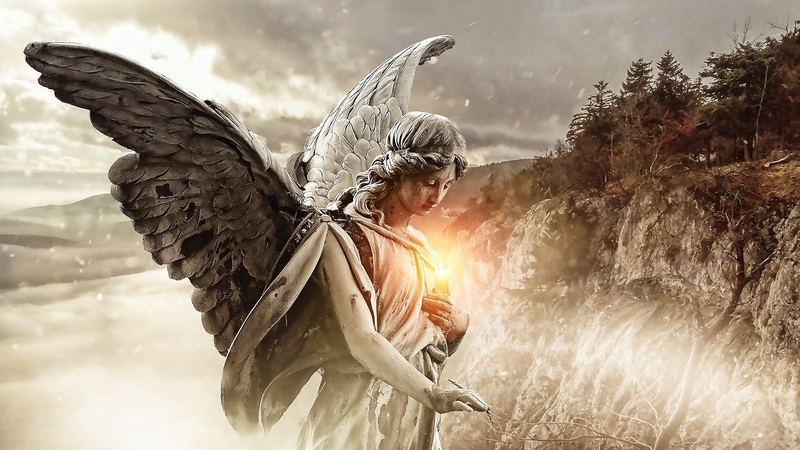 When my life was saved on a lonely country road, the figure which appeared to prevent an accident looked human yet, some said…..’was it Mary?’ ‘was it Jesus?’ I remember only my life this - my life, was definitely saved and yes I do believe it was an angel (a divine) Messenger of Grace. I SAW IT. From another Kingdom – The Kingdom of Light. I believe in God the Father and the Son who came and sacrificed His Life so that all would have access to the realm of God ‘the inner part’ behind the veil. I believe His shed blood has made that possible for me to come to God the Father as ‘Abba’ my Father. Any, and everyone can come....... all tribes, tongues and colours. Repent, accept Jesus and follow Him as He leads you to this access to Abba Father beyond the veil. I believe in evil and that the devil is roaming our world and threshing his tail mightily in the days in which we live. He will not accept that he was DEFEATED at Calvary and is trying to rule the world with his kingdom of darkness. We’re in a battle alright BUT. Looking ever upward we have access beyond the veil into the very Throne Room of God. WHISPERING HOPE, O WHISPERING HOPE. How welcome thy voice making my heart, ever, making my heart in its (difficulties, sorrows and struggles), making my heart rejoice. WHISPERING, WHISPERING HOPE.